Welcome to my Social Studio FX Review. This product's release date is February 9th 2017. I decided to check it out on your behalf to find out if it's worth the money before you part with your hard earned cash. We're going to cover what it is, what it does, who created it, the cost and whether or not it's worth it. Social Studio FX Review: What is Social Studio FX? Social Studio FX is a social media marketing graphics tool to create images for many social media platforms. Social media platforms all use different sized images. And some social media sites use multiple sizes for different things. For example, Facebook has different sizes depending on where you're posting an image to within that social media network. Twitter has a certain size of 1024 pixels wide by 512 pixels high. Each social media network has its own preset sizes and this can become a complicated affair if you're into social media marketing. Who Created Social Studio FX? 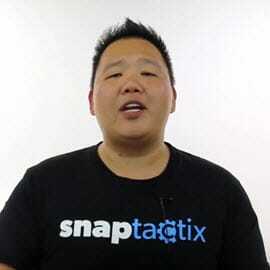 Internet marketer Jimmy Kim, behind a lot of other successful products, created Social Studio FX. It was born by taking the best bits (the user interface and the engine) of a software called Pixel Studio FX. If you've heard of that one you'll know it's a good one. Anyone needing a way to create images quickly and easily with no fuss who is in the realm of social media marketing, make money online, affiliate marketing, blogging, or anyone else with “other” descriptions who want to generate more traffic to a website from social media. 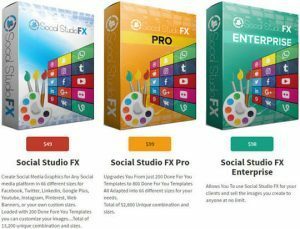 Social Studio FX is also targeted at those who aren't good at creating their own graphics for social media such as Twitter, Pinterest, Facebook, Instagram, and others. If you're not feeling competent enough to design and upload your own images to social media then this would be ideal for you. Outsourcing the creation of images can cost heaps of money, so why not get a one-time priced piece of software that helps you to save in the long run? Social Studio FX will make the job easier, faster and a lot cheaper. What are the Pros and Cons of Social Studio FX? It has a nice interface that's user-friendly and simple to operate. The user interface is designed off the similar interface of Pixel Studio FX. All image sizes are there in the plain to see numbers. It takes seconds to make an image and there are 200+ templates to choose from. You could do all of this stuff for free if you took the time to learn it. Is Social Studio FX a Scam or Legit? 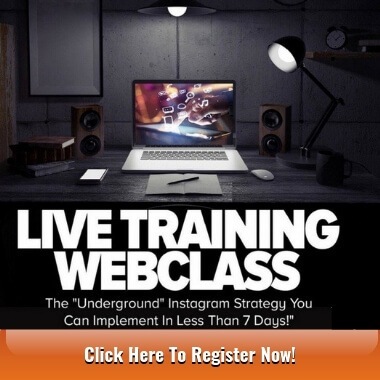 Jimmy Kim is a well-known creator of internet marketing products and that's legitimate enough to me. Although that doesn't mean I'd buy the software myself because I do all of my own graphics with free tools online. 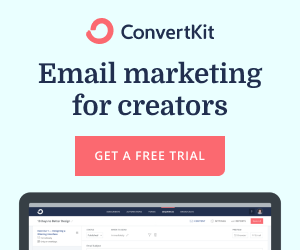 My Final Opinion of this Software – Should You Buy it? If you're not competent with graphics for social media, then absolutely, you should go for it, because it'll make life simpler for you. If, however, you're a graphics wizard, I wouldn't bother. I like to make my own images and it only takes me a minute or two and is mostly free of charge. I use things like Canva, Fotojet, and Snappa. If you'd like to see how I do that, I made a video which you can see here. If you'd like to know about a tool I use for management of my social media marketing efforts read my Mass Planner 2 review. Thanks for reading my Social Studio FX review today. 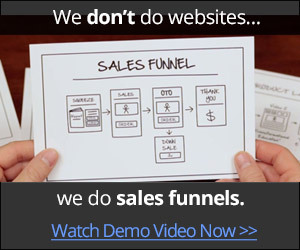 What tools do you use for creating graphics for your website? I'd love to hear about them. What do you think of the software we've talked about today? If you have any questions, let me know below. I'll give you some brownie points if you share this with your friends on social media. Thanks! There are lots of time-saving tools like this coming out these days. As you say, you could do all this yourself for free, but it will take you a bit longer. 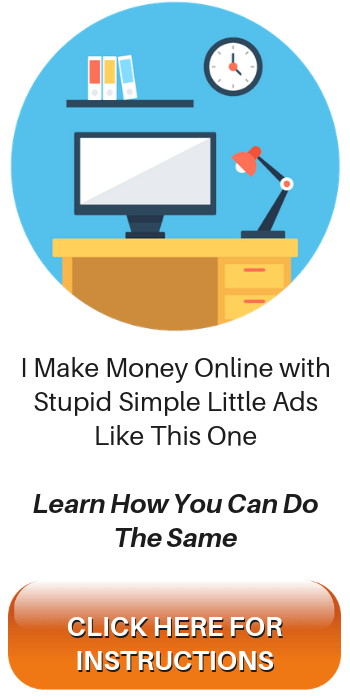 For internet marketers who are short on time but have a little bit of money to invest, Social Studio FX looks like it could be an option worth considering. I have seen Jimmy Kim before, and he does seem to be good at making these kinds of tools. I agree. If you’re bootstrapping an online business, do it yourself. If you’ve got enough money to expend on these types of tools, all the better. Thanks for dropping in, Marcus, good to see you again! Honestly I had no idea this even existed. Which is pretty crazy since I have searched for something similar to this in the past. I must have spent at least 4 hours trying to resize images and create images that looked clean and beautiful. It seems like Social Studio FX does an extremely good job. I love the video by the way. I’ll be sure to visit this site very often, You’ve officially been bookmarked! Bookmarked? Wow, I’m honoured indeed! Thanks Nick for dropping by my site. Social Studio FX won’t be launching for a few more weeks, I don’t know if I need it or not. Maybe I will try it out, since it’s a one-time fee.